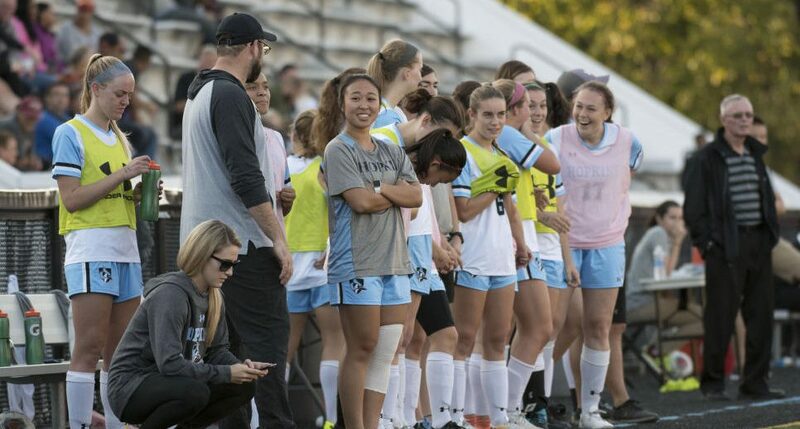 The Johns Hopkins BJ Women`s Soccer Academy is hosted at Johns Hopkins University, Baltimore, MD at a cost of $500 $650 which includes a $175.00 deposit to hold the camper’s spot. The Johns Hopkins Women’s Soccer Academy will provide a high quality camp for those interested in playing in college. It will be an opportunity to play against other high level players, under the guidance of the experienced Johns Hopkins coaches and players. The four-day camp is open to high school players that will be freshman, sophomores or juniors in the upcoming year. The program includes residential accommodations with room and meals provided. The camp is capped at a max enrollment of 85 girls. There will be Goalkeeping Sessions as well as every player gets a ball and t-shirt. Johns Hopkins University is a private institution in Baltimore, Maryland. It is the country’s first research university. In fact, it is notable for its innovative advances in everything from technology to history. Its campus in Baltimore, Maryland, is a serene, 140-acre area. It has a total undergraduate enrollment of 6,117. The gender distribution is 48 percent male students and 52 percent female students. The student-faculty ratio is 7:1 and the school has 73.6 percent of its classes with fewer than 20 students. At Johns Hopkins University, students can take part in everything from Quidditch – the fictional sport in the “Harry Potter” book series – to an acapella Christian group. It also fields 24 men’s and women’s varsity teams of which 22 compete at the National Collegiate Athletic Association (NCAA) Division III level. They are the Blue Jays and blue, white, and black are their identity colors. Then, the university is 10th among undergraduate programs at national universities, and 10th among global universities by the U.S. News and World Report in its 2018 Best Colleges rankings. Johns Hopkins University is a member of the Association of American Universities (AAU). It is also part of the National Association of Independent Colleges and Universities (NAICU). DISCLOSURE: Mid Atlantic Soccer Academy has rented facilities from the Johns Hopkins University. However, Mid Atlantic Soccer Academy and any programs operated by Mid Atlantic Soccer Academy are not related to or affiliated with the Johns Hopkins University in any way. Mid Atlantic Soccer Academy is an entirely separate legal entity with no connection to the Johns Hopkins University aside from the temporary use of facilities for the specified program. Johns Hopkins BJ Women`s Soccer Academy is hosted at Johns Hopkins University, Baltimore, MD. The Johns Hopkins Women's Soccer Academy will provide a high quality camp for those interested in playing in college, especially in the Northeast.